The UK remain on top in our Fantasy Premier League Draft league of pundits. Andy's Allstars maintained their 100% record for the UK at the top with a one-point victory over Neal Thurman's Rotoworld_PL from the US. But Gameweek 5 will intensify the rivalry, with all four fixtures pitting UK squads against their US counterparts. Jeremy Spitzberg's "Get on the Snake" squad is next to take on the league leader, as he bids to close ground and lead the recovery for the US experts. We caught up with his season prior to the big encounter. I rode some luck in my previous fixture - my US derby match against Sean Sullivan. I earned little reward from my forward line, with Sam Vokes and Chicharito firing blanks. The West Ham United striker is now in danger in my squad. He still has a good run of fixtures and playmakers coming back into the team, but I'll be looking to see who's on waivers. I just don't trust the Hammers at the moment. One man who I did trust, while so many others didn't, was Kevin De Bruyne. In a draft league, you often don't have as much choice with a top player as you might with a regular Fantasy Premier League team. I couldn't just trade him out for Christian Eriksen or Mohamed Salah because they are already in squads. So I kept the faith and two assists against 10-man Liverpool was my reward. Those points probably cemented the week's head-to-head win. However, I did even better with Pascal Gross. 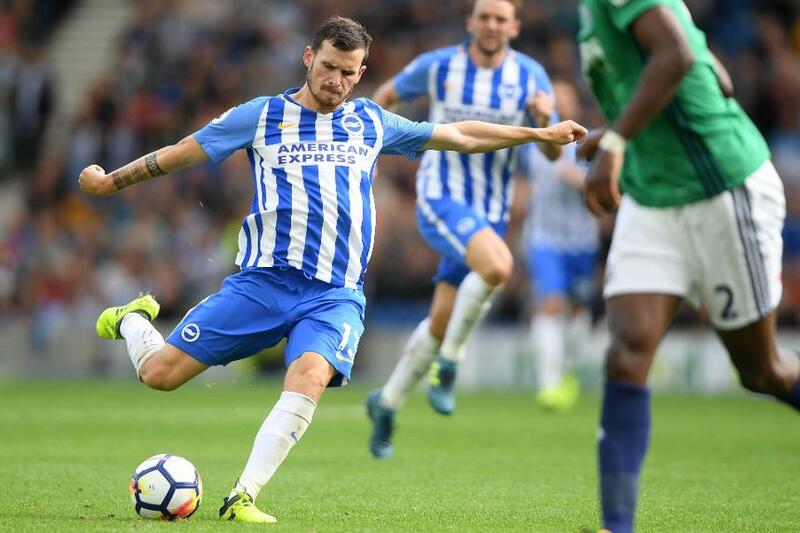 What made it even sweeter was that I picked up the Brighton & Hove Albion man in a waiver ahead of Gameweek 3, in place of the still-injured Wilfred Zaha. I knew that Gross was playing in an advanced role basically as a second striker behind Tomer Hemed. I just had a hunch that he could deliver. Brighton were at home, and I needed another midfielder to allow me to bench Jese, who was up against Manchester United. When Gross started bringing in his 18 points, I felt like a real-life manager who had just seen his 60th-minute sub score a goal with his first touch. For one week at least, I was a managerial genius.